The AMD Radeon HD 7480D or HD7480D is a desktop processor graphics card in the Trinity APUs from AMD. 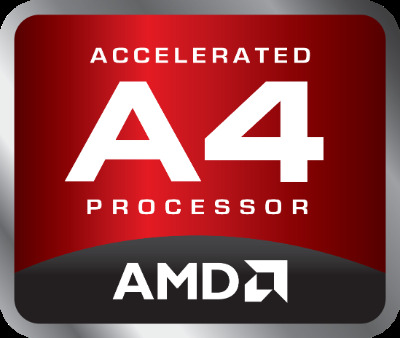 It is a cut down version with only 128 of the 384 shaders and integrated in the A4 series APUs. It is based on the VLIW4 architecture of the Radeon HD 6900 series desktop graphics card and doesn't offer a dedicated graphics memory. The integrated UVD3 video decoder (Avivo HD) allows the full decoding of Multi-View Codec (MVC), MPEG-4 Part 2 (DivX, xVid), MPEG-4 AVC/H.264 and Adobe Flash HD videos. According to a reader, 2D Blu-Ray playback works fine, but 3D playback is stuttering. The performance in games is usually compareable to a Intel HD Graphics 4000 GPU. However, due to the slow CPU part, many games may be CPU bound and therefore offer lower frame rates (e.g. in low resolution and detail settings). The AMD Radeon HD 7660D or HD7660D is a processor graphics card in the desktop Trinity APUs from AMD. It is the fastest version and is featured only in the A10 series. It is based on the VLIW4 architecture of the Radeon HD 6900 desktop series and doesn't offer a dedicated graphics memory. The mobile version for laptops in comparison offers a lower clock rate and is called Radeon HD 7660G. The performance of the Radeon HD 7660D differs from the used benchmark. In synthetic benchmarks like 3DMark 11 it is slightly faster than it actual games. In our tests it positioned itself slightly above a Nvidia GT 630M and therefore the performance is significantly better than the Intel HD Graphics 4000 in the Ivy Bridge Quad-Core models. Many games of 2012/2013 can be played fluently in low or medium settings. The shaders of the chip can also be used for general computing using OpenCL and DirectCompute 11.